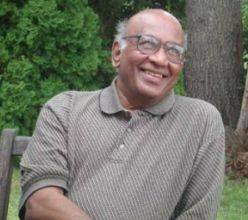 Professor Stanley Jeyaraja Tambiah passed away on the January 20, 2014 at the age 84. 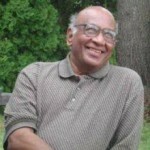 Stanely J. Tambiah was the Esther and Sidney Rabb Research Professor of Anthropology at Harvard University. He received his Ph.D. from Cornell University (1954). Having served as a UNESCO technical assistance expert in Thailand from 1960 to 1963, he joined the faculty at the University of Cambridge, where he taught for ten years, and was a Fellow of King’s College. He went to the University of Chicago in 1973 as a tenured professor, and joined Harvard University in 1976. We publish below an interview of Stanley Tambiah by Alan Macfarlane. Filmed by Michael Madha at the A.S.A. Decenial Conference in Cambridge, 1983. What else this turd could have written besides some vile garbage about a great man. This Fatshitma must have been born to a village prostitute. Tamil from the North:You shouldn’t take this agent provacateur seriouly to even repond.It only encourages him.Let him stew in his own venom. How can I sit back and watch this piece of sh&& write something so bad about a friend of my Dad. But you are correct as well. One of the greatest old Thomians.He adorned Cambridge and Harvard universities.Esto Perpetua. I myself am a product of this school but we must move away from this silly notion that STC produces greats ! STC was also the alma mater of the father of the ethnic conflict SWRD and also of Namal and the spineless GLP our foreign minister not to mention many other losers. Great people like Stanley Tambiah would have become great and shone nevertheless even if they came from a village school. Agreed. If I remember right J Thavaraja is an engineer by profession and a classmate of GLP. yes sure. Raj Rajaratnam is a Thomian too. Fully agree with you. There are always bad eggs in every community, religion & country. I am a Sri Lankan, a Buddhist and a Sinhalese. I live in the US and have studied in some of the most prestigious and best known universities in UK and the USA. People of Professor Thambiah’s caliber are very rare and I am very proud to be a Sri Lankan because this tiny island produced a great man like Professor Thambiah. “May he attain nibbhana”? I suppose that is the right wish,since he had in fact become almost a Buddhist having immersed himself in studying it so deeply, though he comes from a prominent Christian family in Jaffna. Indeed we Sri Lankans must be proud of the fact,as Pathbey says,that we produced such a one as he and also that the University of Ceylon could produce one such as he. JPee don’t look back at least for kids sake! The Malayalee Brahmins (TRP’s to 1968) have always outshone everyone in the island and some say because Malayalam consists of 80% Sanskrit. When one of them at school answered chemistry or physics paper it was always a story or parable and a treat to read. They(MB’s) had all the post graduate scholarships full bright and east west but rejected it like Bill Gates unwilling to join the “rat race” and have made their own success stories back in India. India’s richest is a porter’s son and he has made it all in India. Bose did not look back and became Head of MIT and CEO Bose Corporation. Who is this foolish person Javi. I praised the goodness of late Professor Tambiah and then I read some Mumbo Jumbo comments about “The Malayalee Brahmins” from an imbecile. As a “campus kid” in the 1950s I have some other memories of Jeyraj. He was great fun and entered into many aspects of campus life. One was drama. I remember him in Ludowyk’s production of “Androcles and the Lion”, “The Seagull” (performed in one of the Hilda courtyards), and “Tiger at the Gates” by the French dramatist Giradoux, in which he played the Greek warrior Ajax, I think, a role which his great stature and voice amply filled. One evening, after we had played “Tiger” for the last time, the company went to dine at the only Chinese restaurant in Kandy. I was one of those who came back in Jeyraj’s car, late at night, down the deserted Peradeniya Road to the campus. We were in high spirits and suddenly, in a rare hushed moment, Thamby began to sing in his rich voice (bass? )…..of all things, “The Foggy Foggy Dew”….you have to know the song to appreciate his choosing it. He was then still a bachelor. One of the greatest anthropologests of our times. I am very proud that he is a minority tamil from the northern part of Sri lanka. I read many of his books when I was studying at the university of Oslo. Rest in peace Sir.